Zappos has long encouraged its employees to trade their working hours for volunteer hours at several Las Vegas charities. 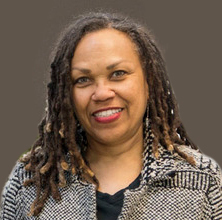 For years, one such nonprofit includes the Goodie Two Shoes Foundation. 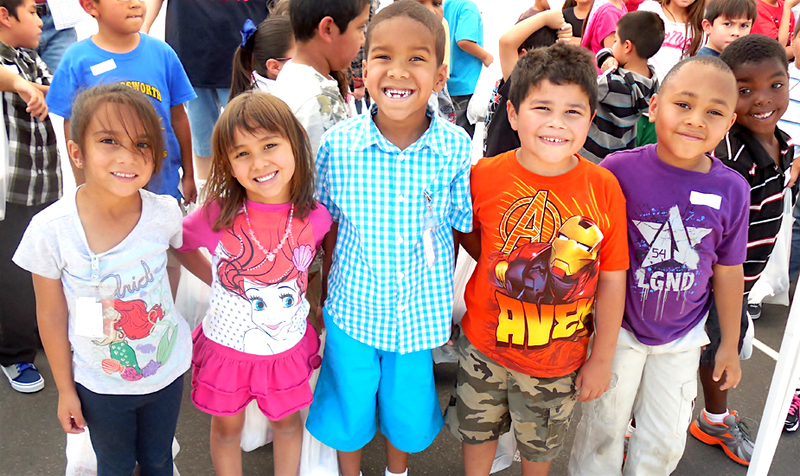 Goodie Two Shoes benefits from donations and charitable giving to help underprivileged students across the Vegas Valley. The foundation’s mission is to provide disadvantaged children, and children in crisis, with new shoes and socks to help with good health and positive development. The organization also works directly with social services, school counselors, principals and the Clark County School District to find out which schools, or organized groups of children, would benefit the most from a shoe distribution event. With the assistance of first-time and longtime volunteers, children work one-on-one with their adult counterpart to ensure they receive that perfectly sized sneaker. Due to their family’s low income, these kids often wear ill-fitting hand-me-downs, which can be uncomfortable and cause foot development issues. 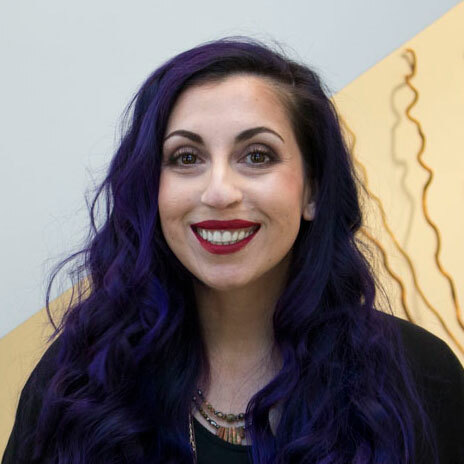 Once the volunteer sizes the student correctly, the child is given the opportunity to choose the exact style he or she desires — regardless if it takes five or 45 minutes. The confidence to make a decision, along with putting on a new pair of shoes, is an amazing thing to witness as a volunteer. 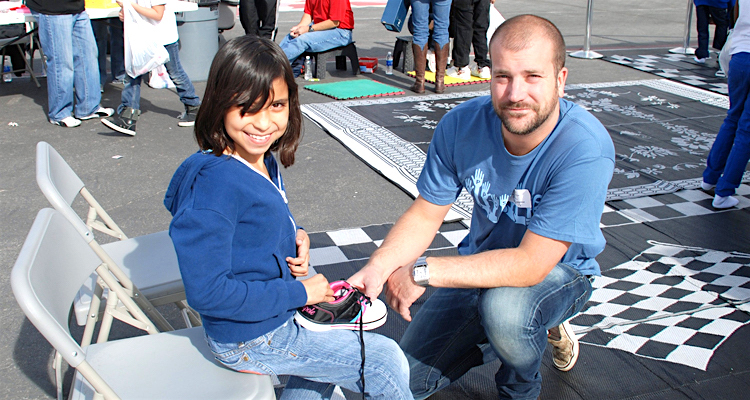 Since Zappos began its partnership with Goodie Two Shoes in 2007, more than 460 employee volunteers have donated nearly 2,300 hours to 66 events. In total, this has helped outfit more than 75,000 Southern Nevada children since the organization’s humble beginnings in 2003. Individual Sponsorship: For $25 one can “sponsor an individual child” so they can receive a free pair of shoes and socks without having to attend a distribution event. Gold Volunteer: Those who have volunteered for over 10 different distribution events in a single school year. Red Shirt Volunteer: These are volunteers who have participated for a long period of time and are trained in various key volunteer positions while having a deep understanding of the charity and it’s mission. Funder: Individuals, groups or corporations who are willing to support Goodie Two Shoes with monetary donations or by fundraising. Distribution Event Sponsors: Corporations or individuals that directly sponsor distribution events. 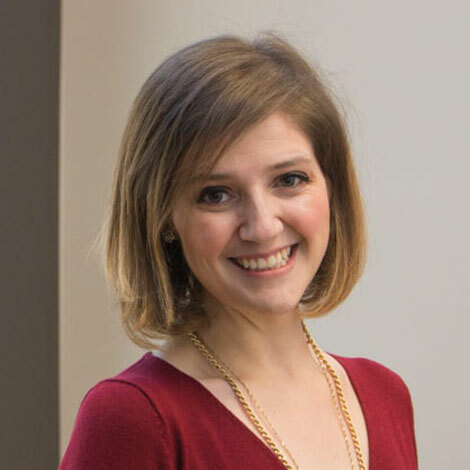 Committee Member/Chair: Individuals who support Goodie Two Shoes Foundation through special fundraising and governance committees, and are willing to lead and oversee major events. Board Member: This is the highest level of a volunteer. They advocate on behalf of Goodie Two Shoes and engage in all foundation activities and governance. Who knew something as simple as a new pair of shoes could make such an impact on a child’s life? As it turns out, it’s an incredibly powerful way to help a child in need and create a healthier, happier life. If you’re looking for a place to donate your time or money, Goodie Two Shoes is a life-altering charity to consider. Give back here, and you’ll meet some amazing kids along the way! 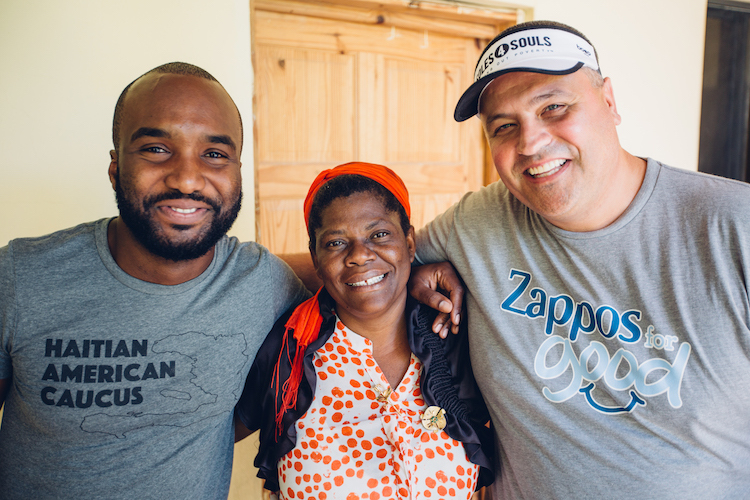 Zappos for Good has partnered with Soles4Souls, a non-profit, helping gently used and second-hand shoes and clothing to energize micro-enterprise. TOMS Day is a day dedicated to celebrating Zappos' partnership with TOMS, the One for One® company. The event even saw both companies donate over $10,000 to Save the Children in a unique, heartfelt way. 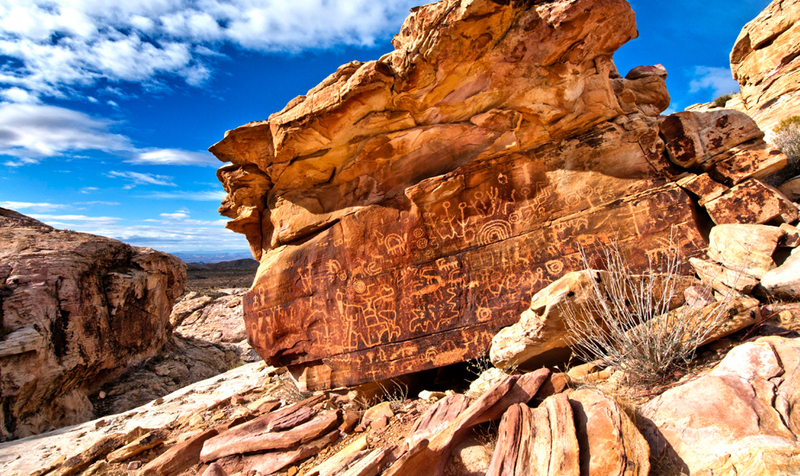 Three hours from Las Vegas is an area of wilderness steeped in beauty and Native American history. With the help of Keen, 300,000 acres of land is now under federal protection. Giving back to your community has been scientifically proven to be healthy for you! Here are six easy and simple ways that you can give back to your community this week.